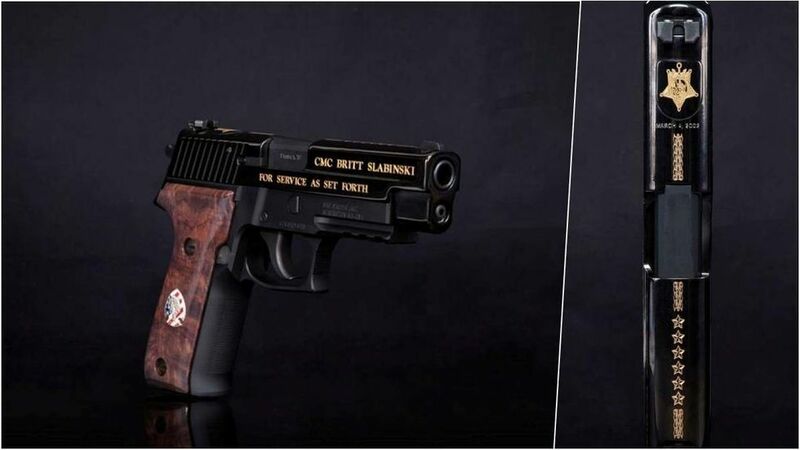 This past National Medal of Honor Day, the gunmaker unveiled a specially-designed commemorative P226 pistol — the same pistol that SEALs carried under the official MK25 designation — to honor Slabinski's receipt of the the nation's highest award for valor. 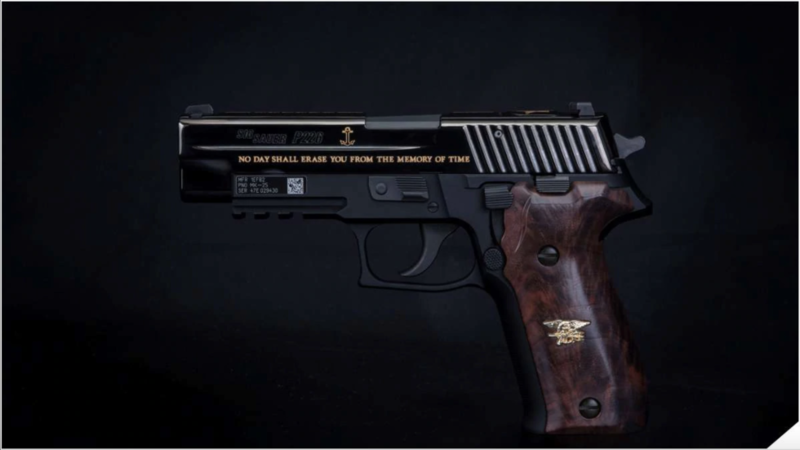 The commemorative pistol includes ceremonial 24k gold engravings on both sides of the slide: "For Service As Set Forth," the first line of Slabinski's award citation, on the right side, and "No Day Shall Erase You from the Memory of Time, which is featured at the World Trade Center Memorial in New York City, on the left. 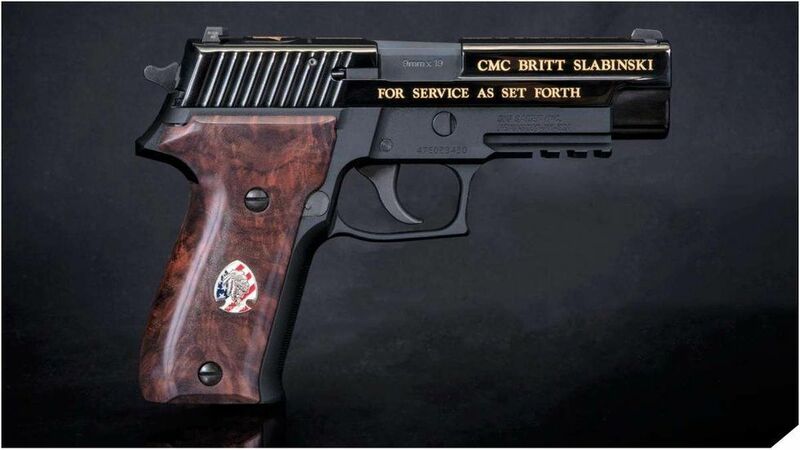 As if the pistol wasn't enough, Sig Sauer also unveiled a brief documentary recounting Slabinski's years of service. 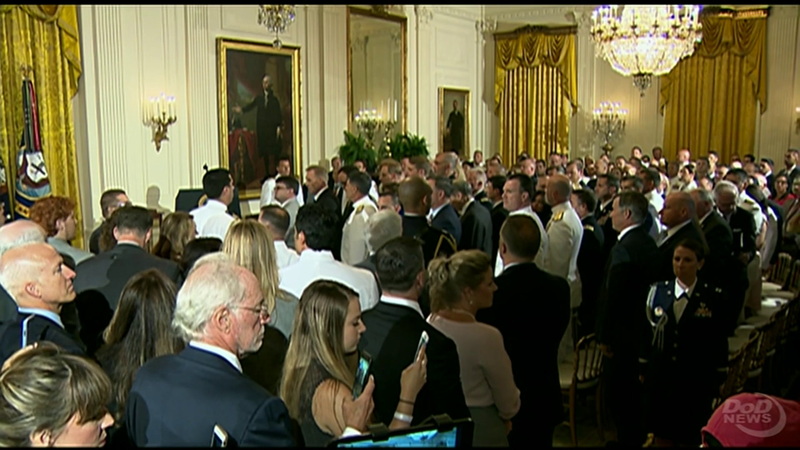 You can watch that above.